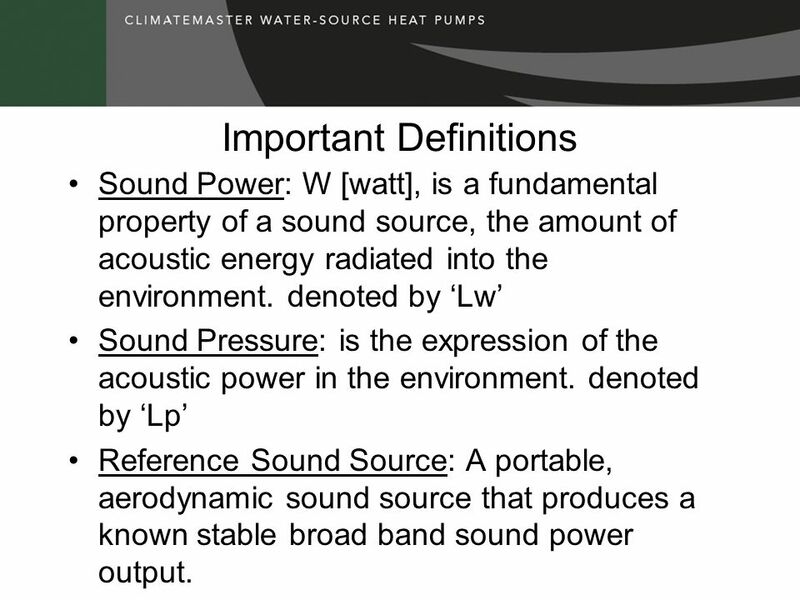 Sound Power: W [watt], is a fundamental property of a sound source, the amount of acoustic energy radiated into the environment. 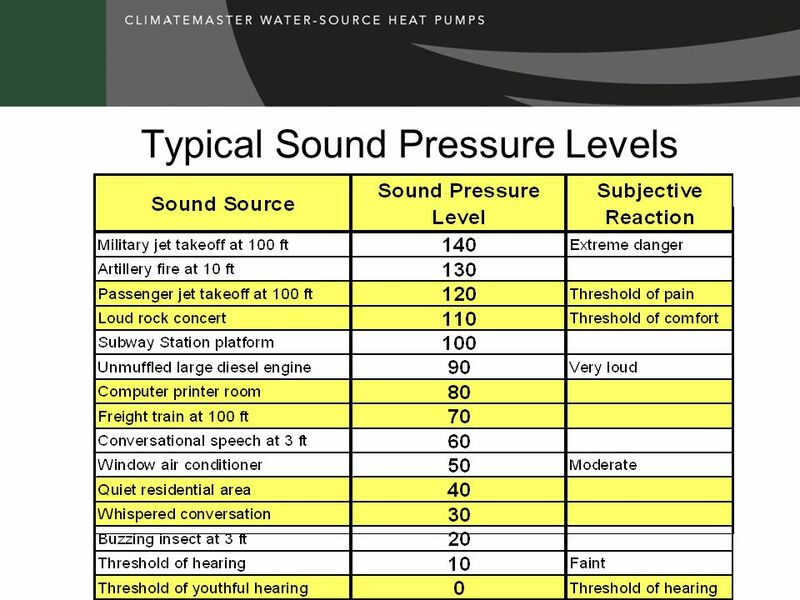 denoted by ‘Lw’ Sound Pressure: is the expression of the acoustic power in the environment. 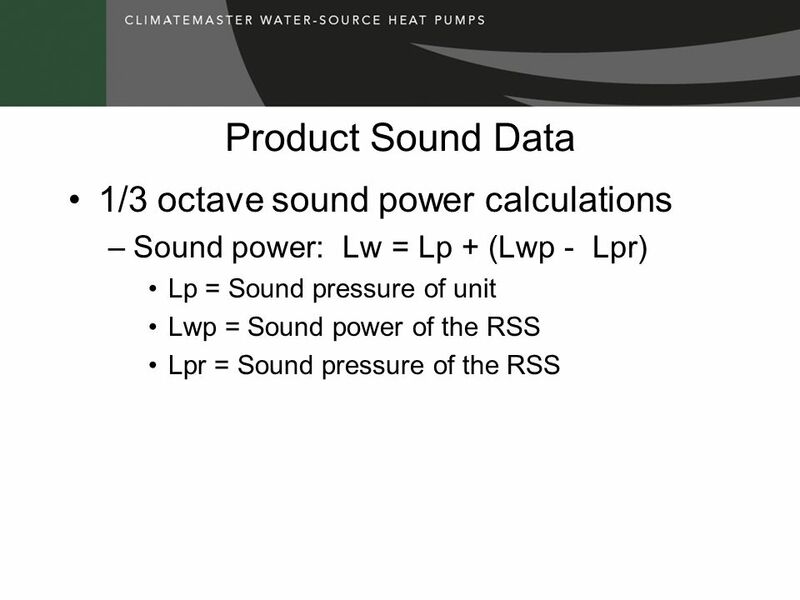 denoted by ‘Lp’ Reference Sound Source: A portable, aerodynamic sound source that produces a known stable broad band sound power output. 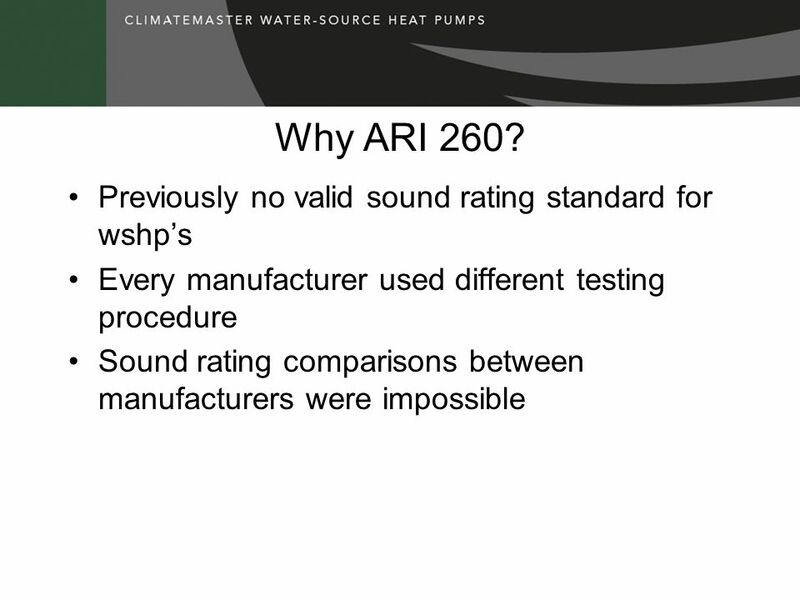 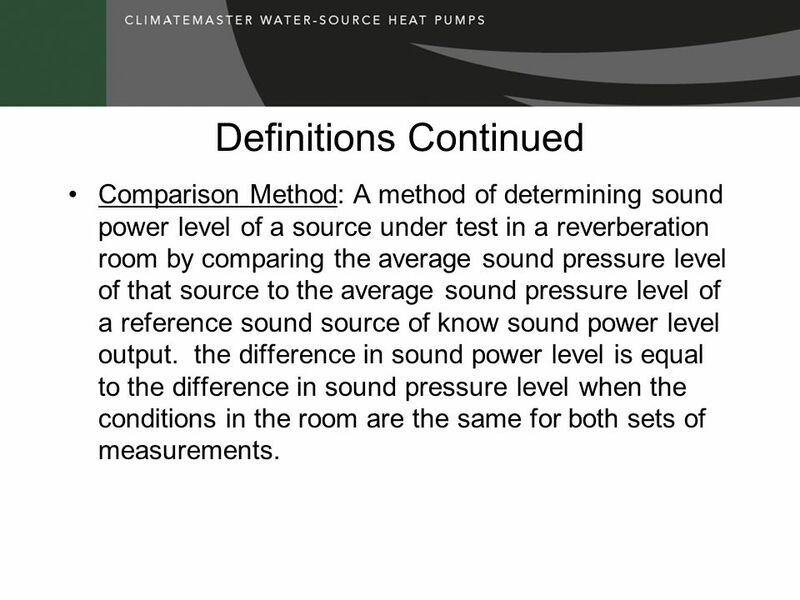 Comparison Method: A method of determining sound power level of a source under test in a reverberation room by comparing the average sound pressure level of that source to the average sound pressure level of a reference sound source of know sound power level output. 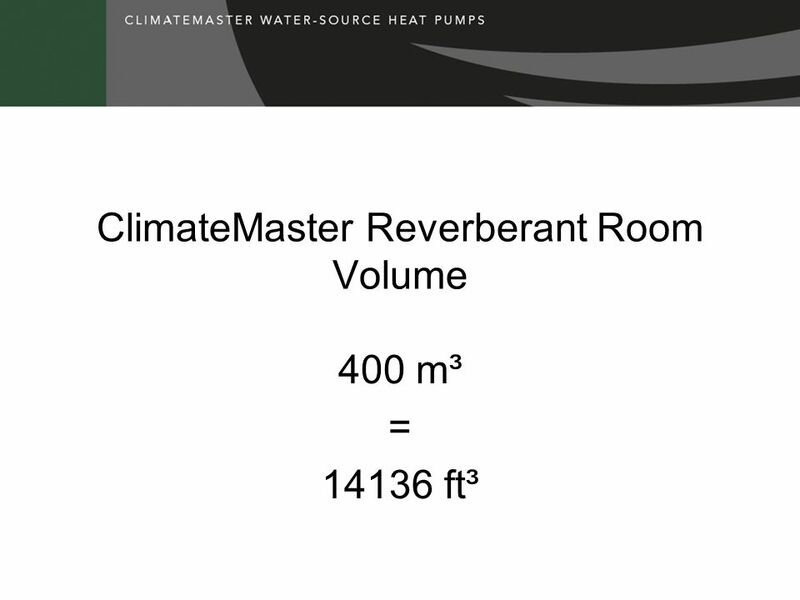 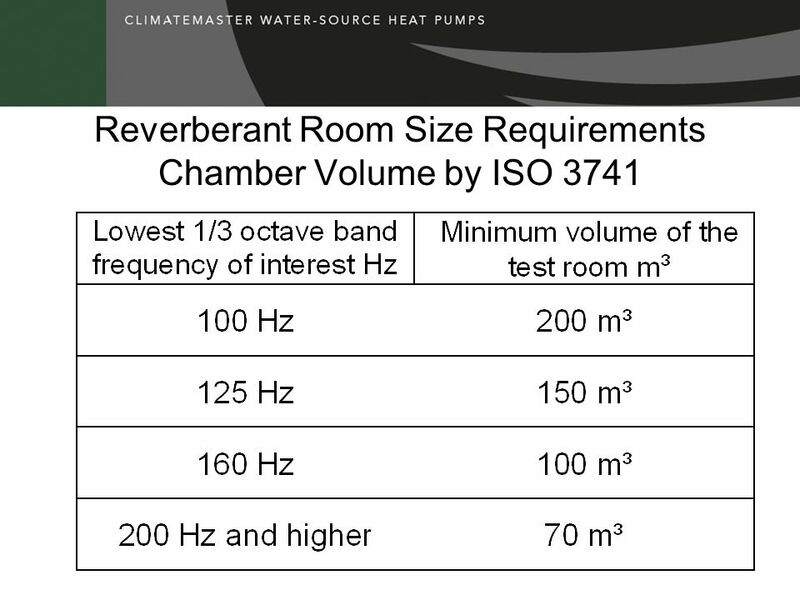 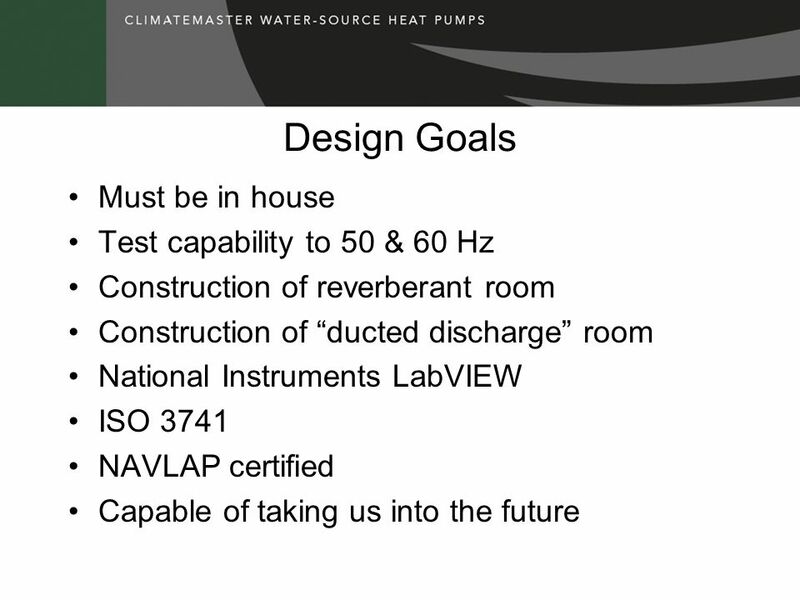 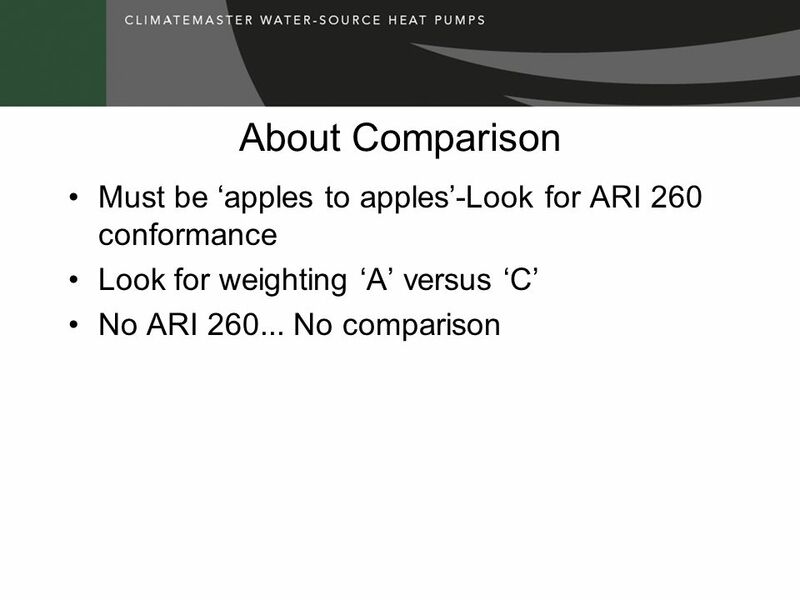 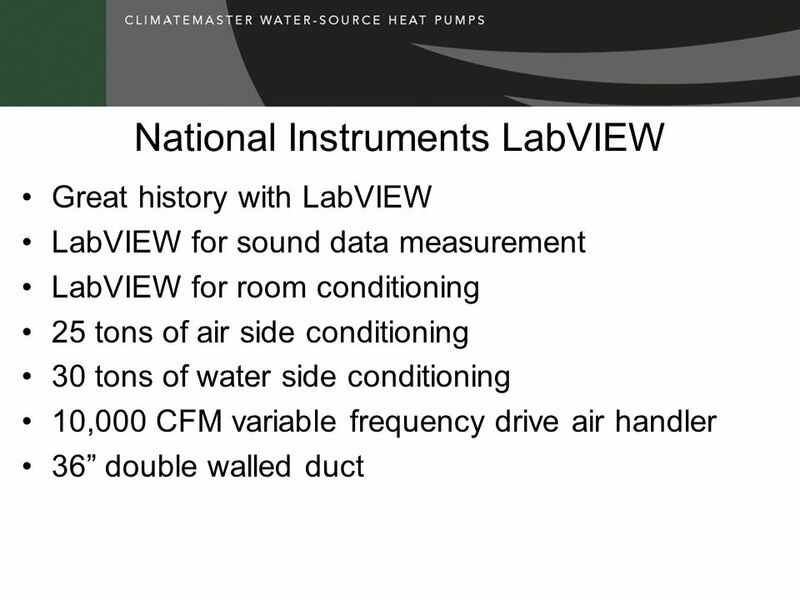 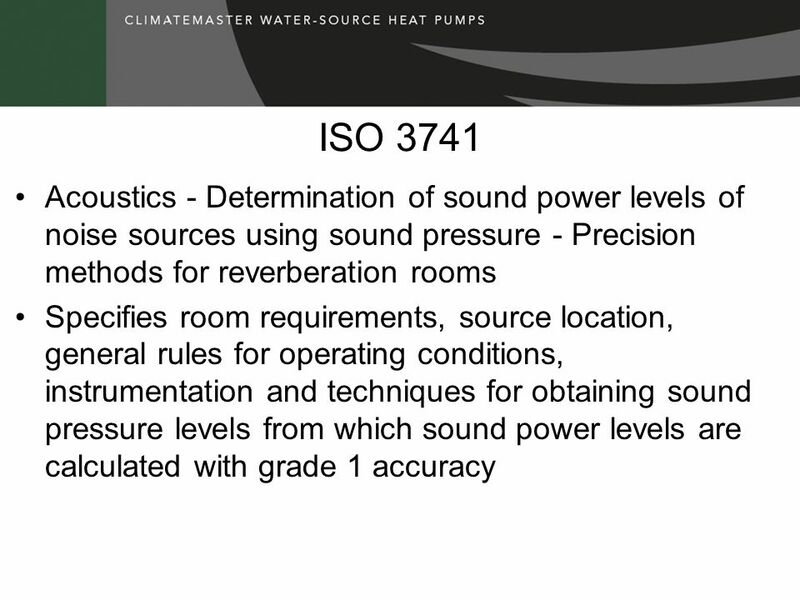 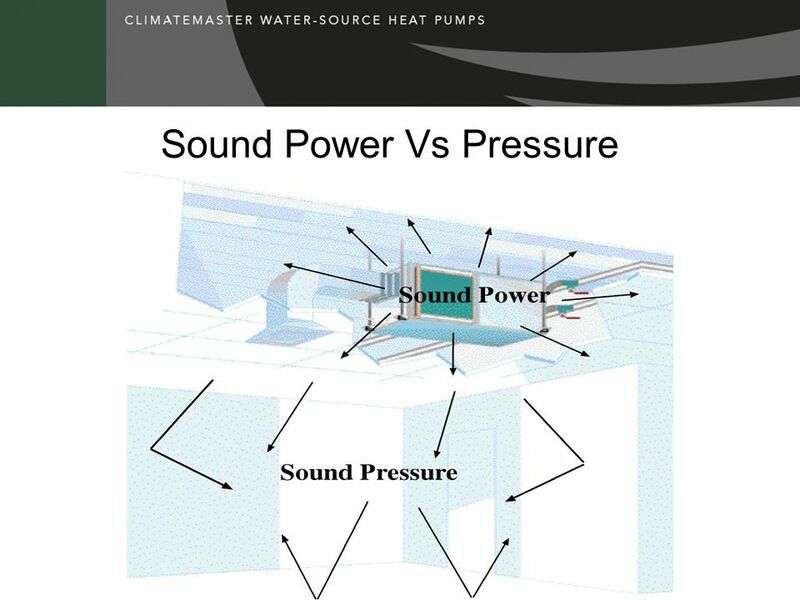 the difference in sound power level is equal to the difference in sound pressure level when the conditions in the room are the same for both sets of measurements. 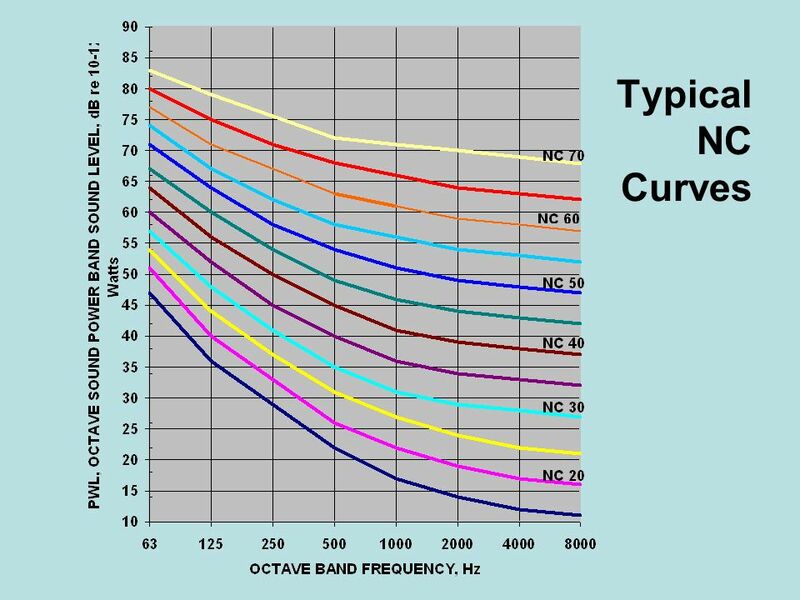 Octave Band: a band of sound covering a range of frequencies such that the highest is twice the lowest. 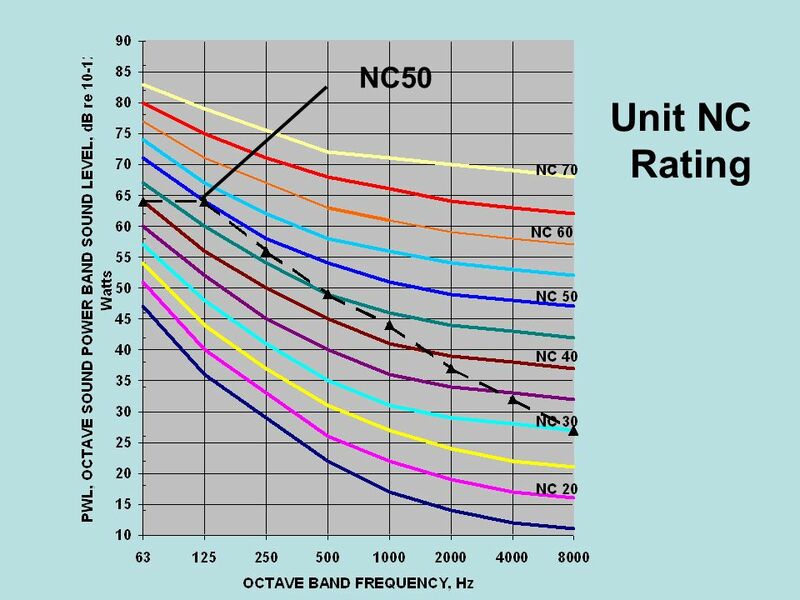 octave band frequencies are: 63; 125; 250; 500; 1000; 2000; 4000; and 8000 1/3 Octave Band: A band of sound covering a range of frequencies such that the highest frequency is the cube root of two times the lowest. 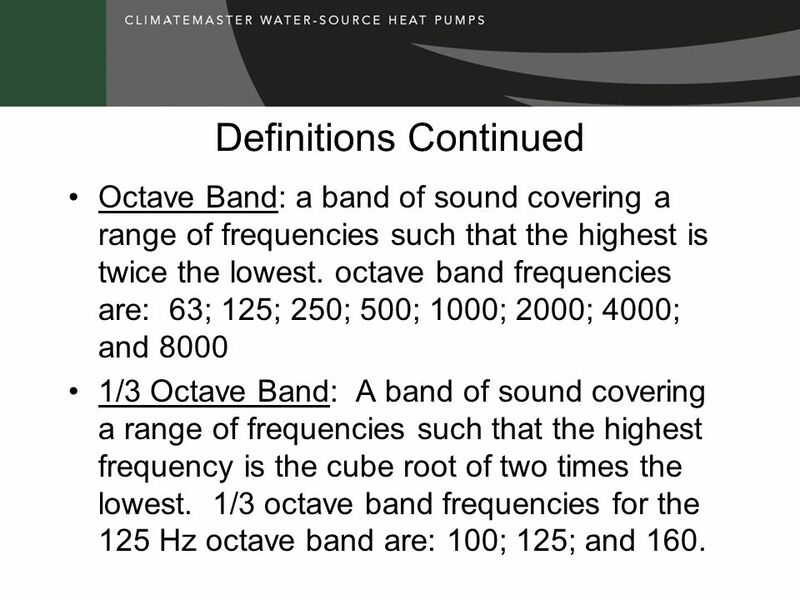 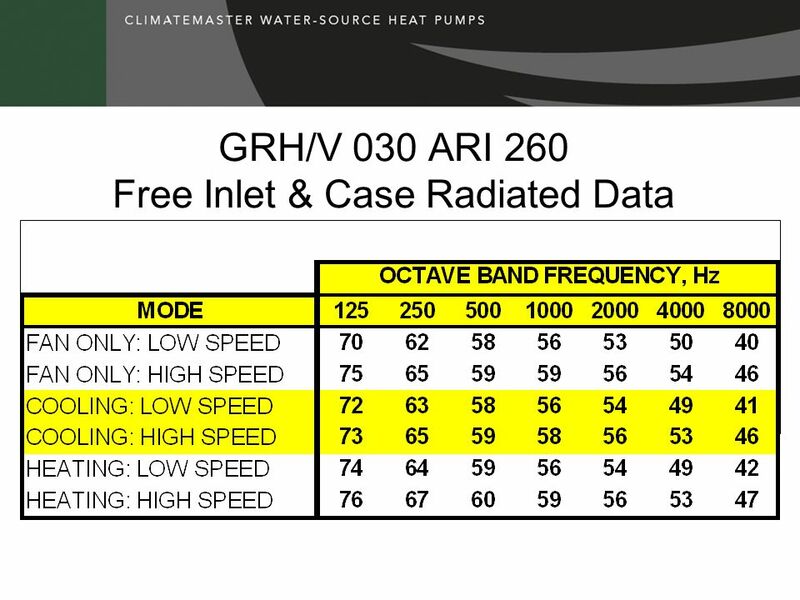 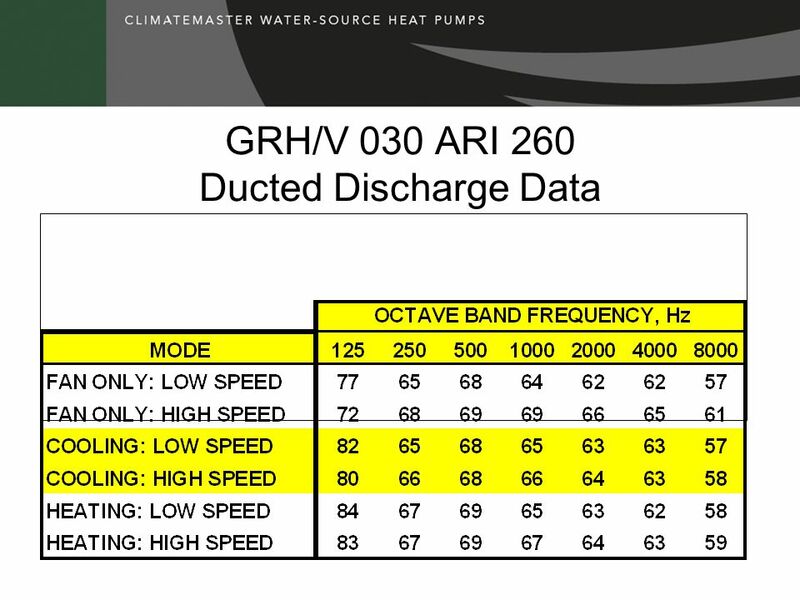 1/3 octave band frequencies for the 125 Hz octave band are: 100; 125; and 160. 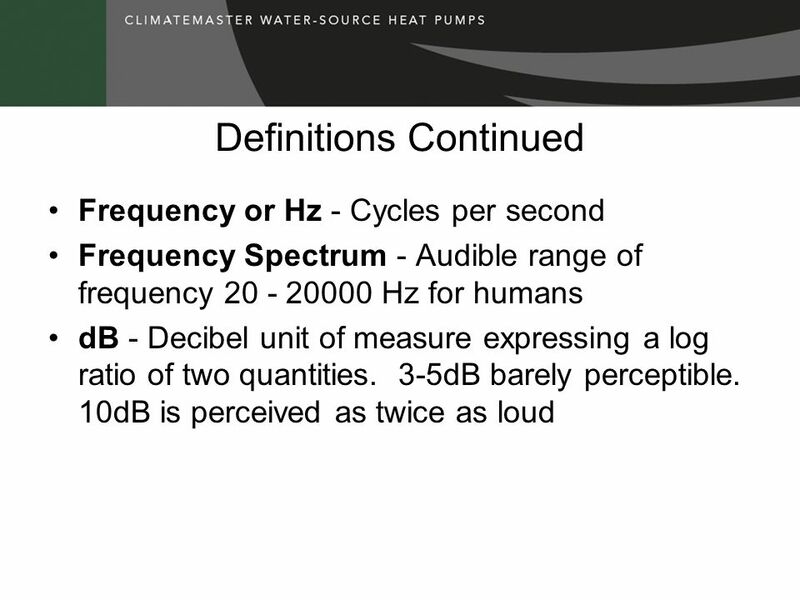 33 Why is Measuring Sound So Difficult? 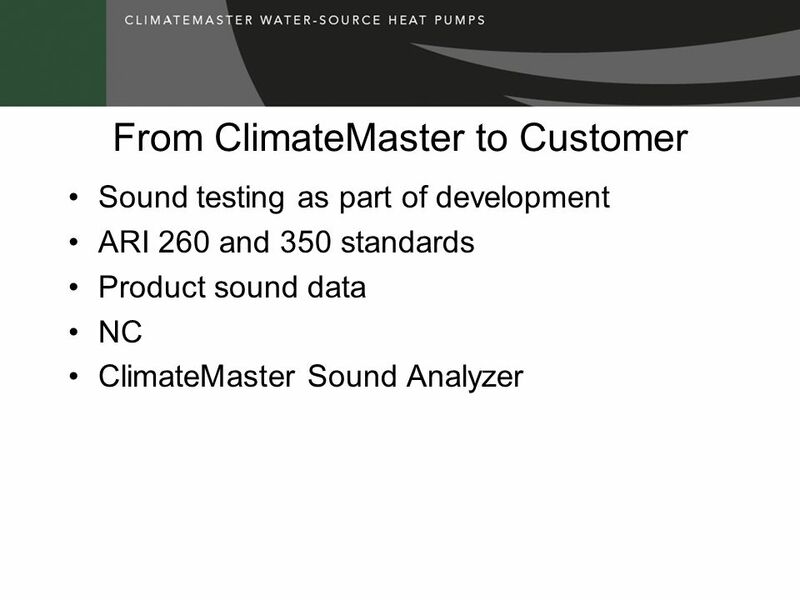 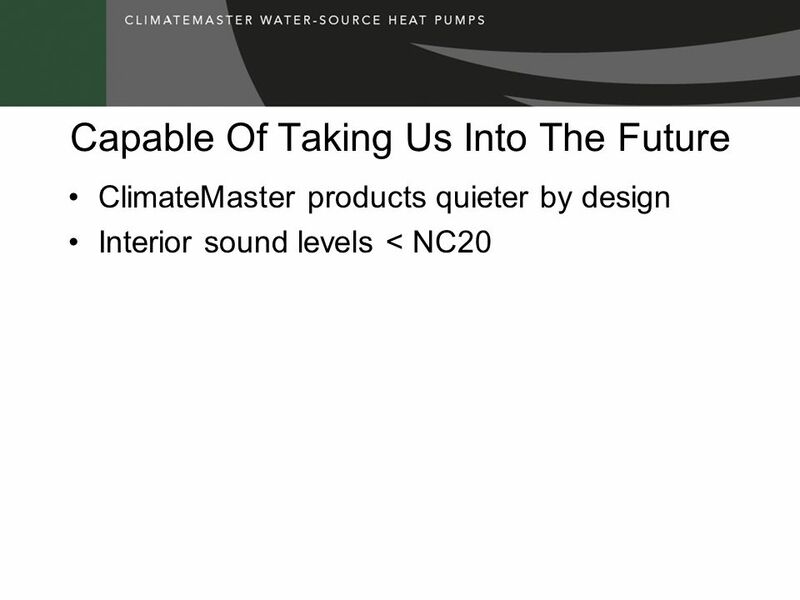 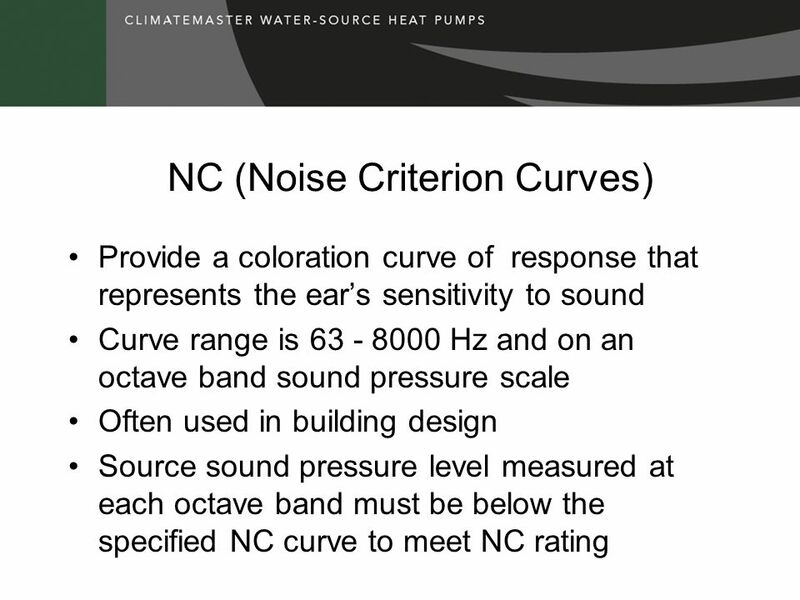 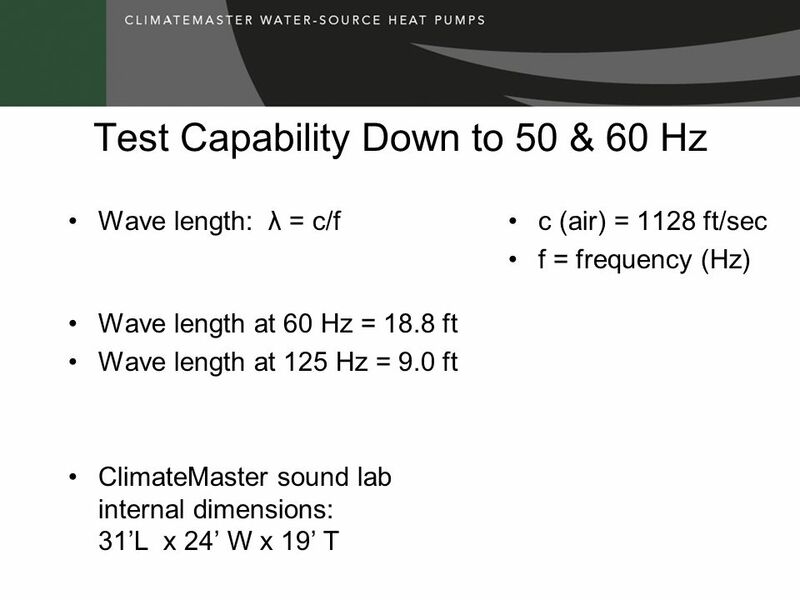 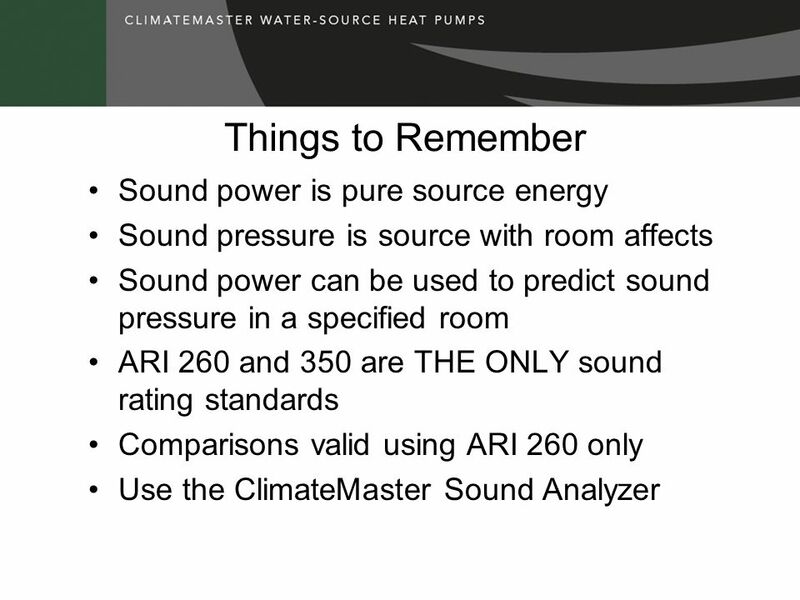 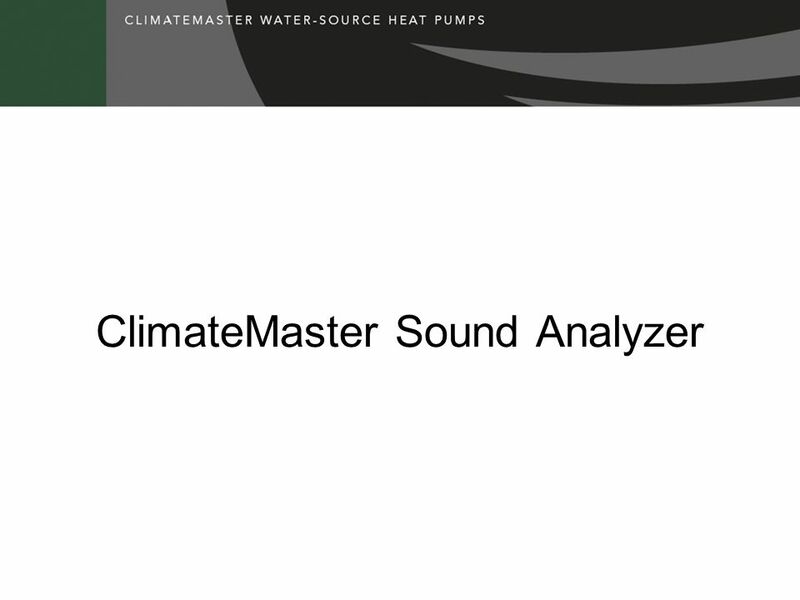 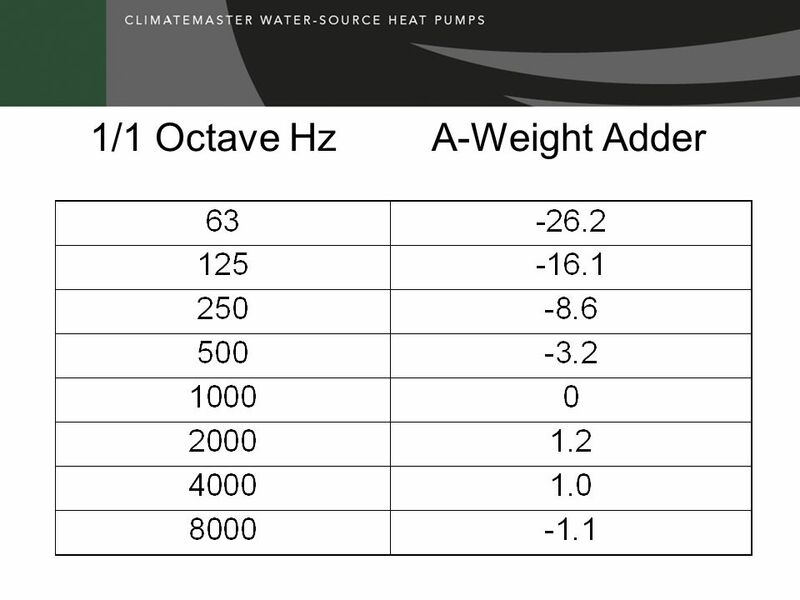 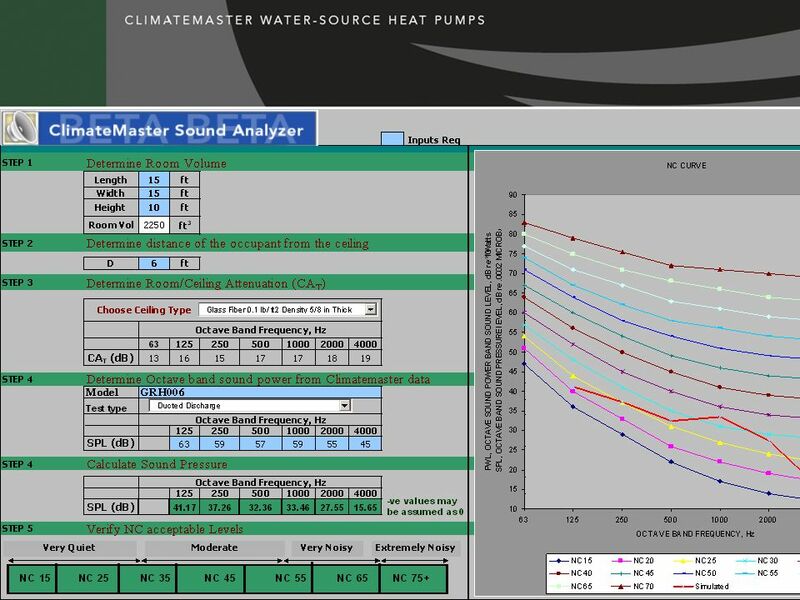 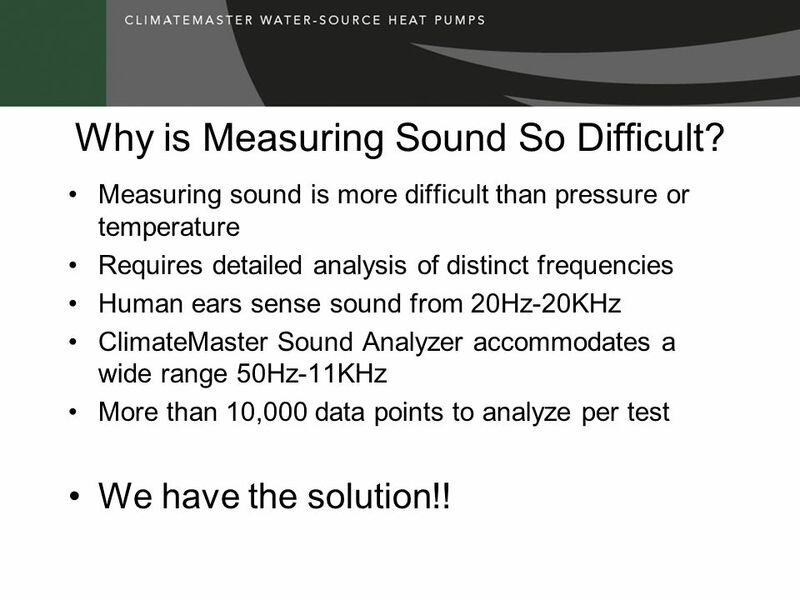 Measuring sound is more difficult than pressure or temperature Requires detailed analysis of distinct frequencies Human ears sense sound from 20Hz-20KHz ClimateMaster Sound Analyzer accommodates a wide range 50Hz-11KHz More than 10,000 data points to analyze per test We have the solution!! 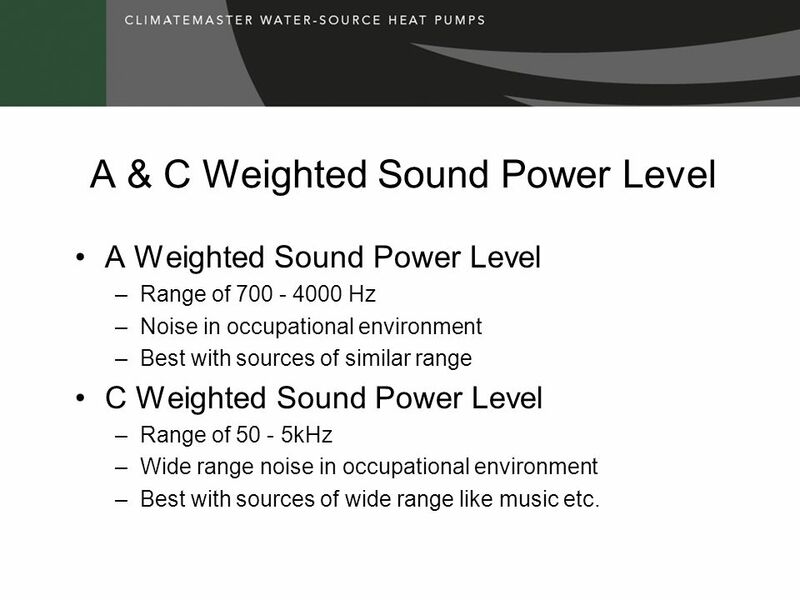 A Weighted Sound Power Level Range of Hz Noise in occupational environment Best with sources of similar range C Weighted Sound Power Level Range of kHz Wide range noise in occupational environment Best with sources of wide range like music etc. 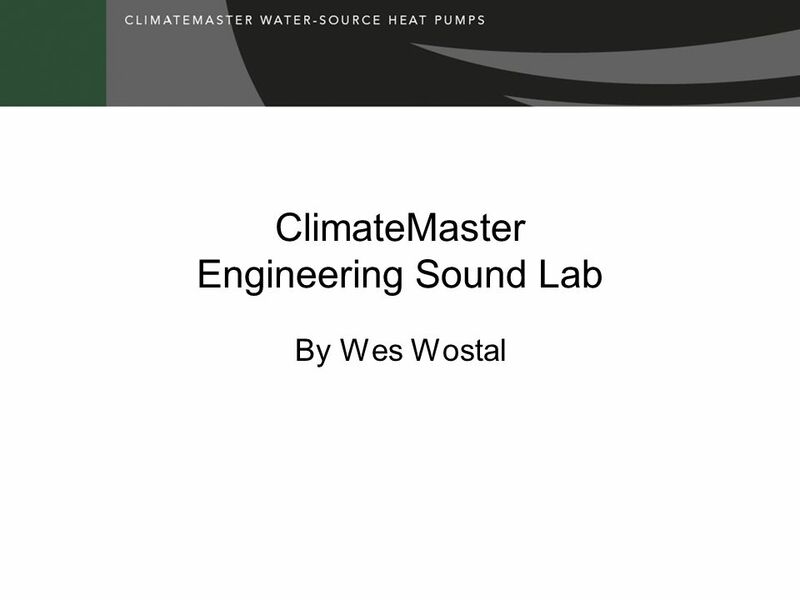 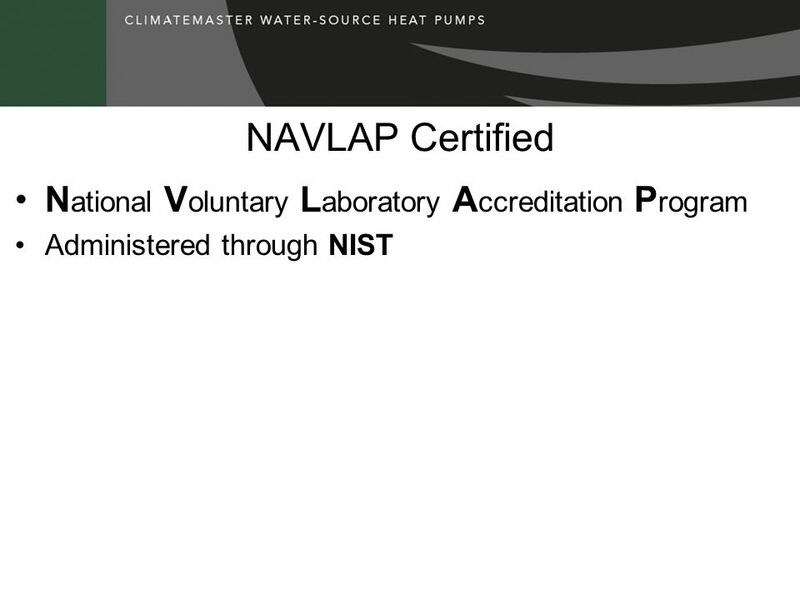 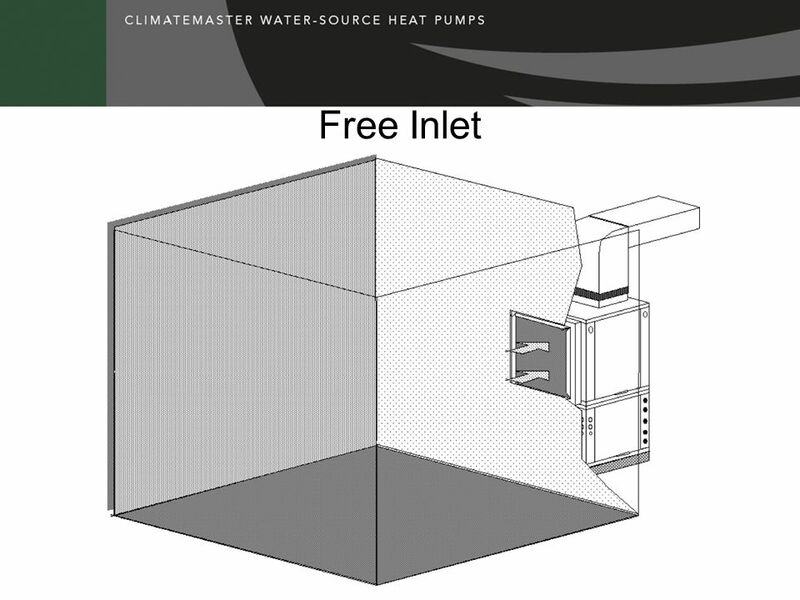 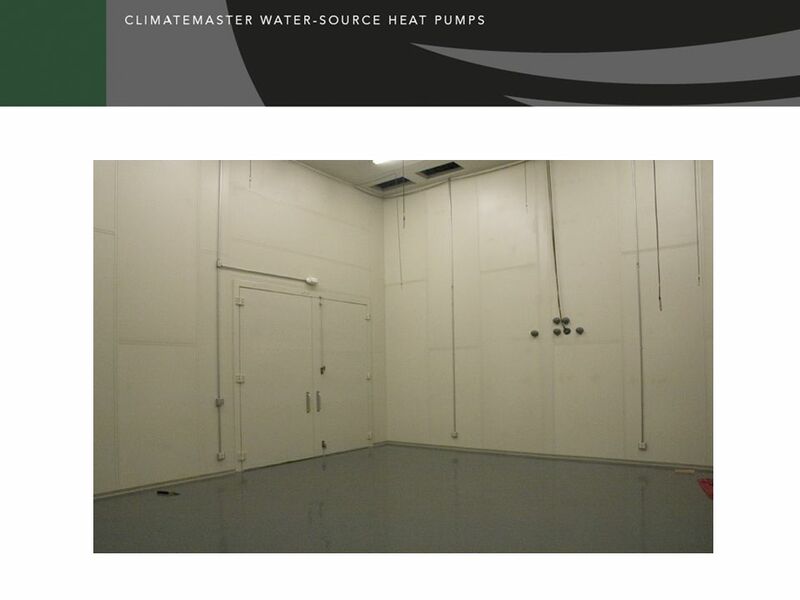 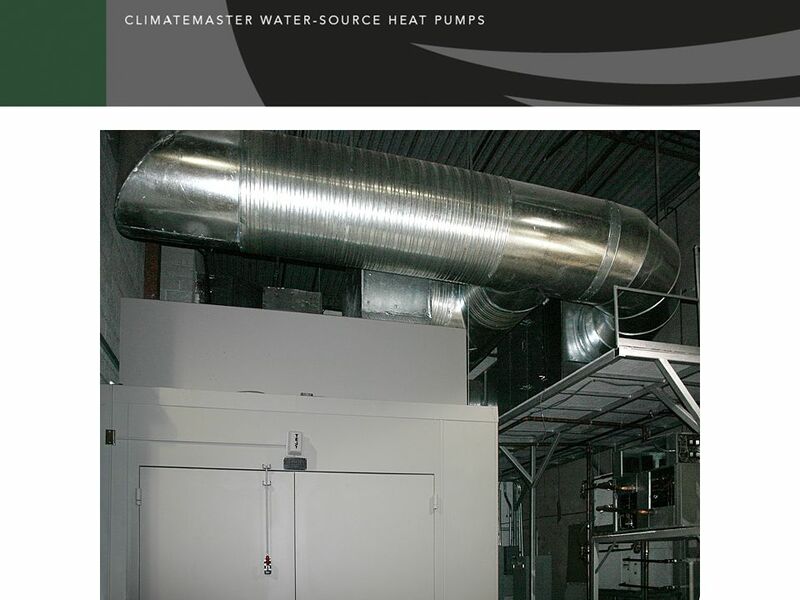 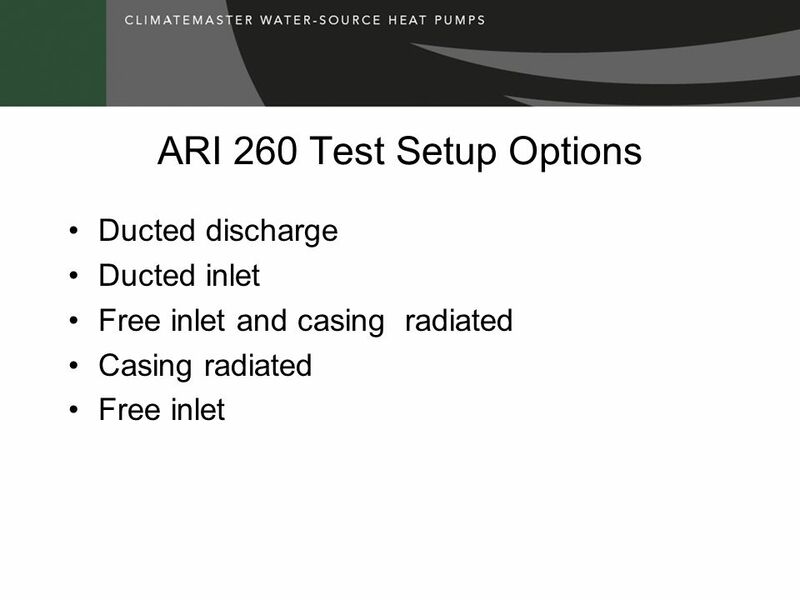 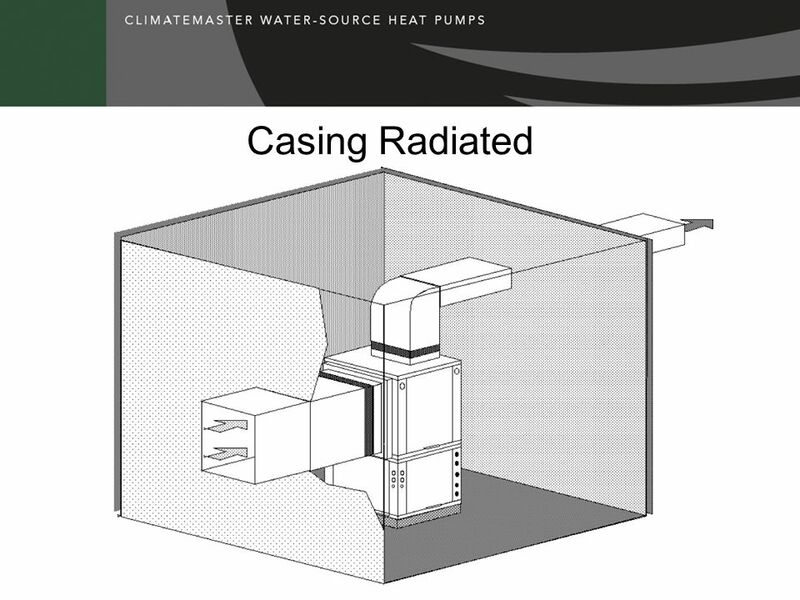 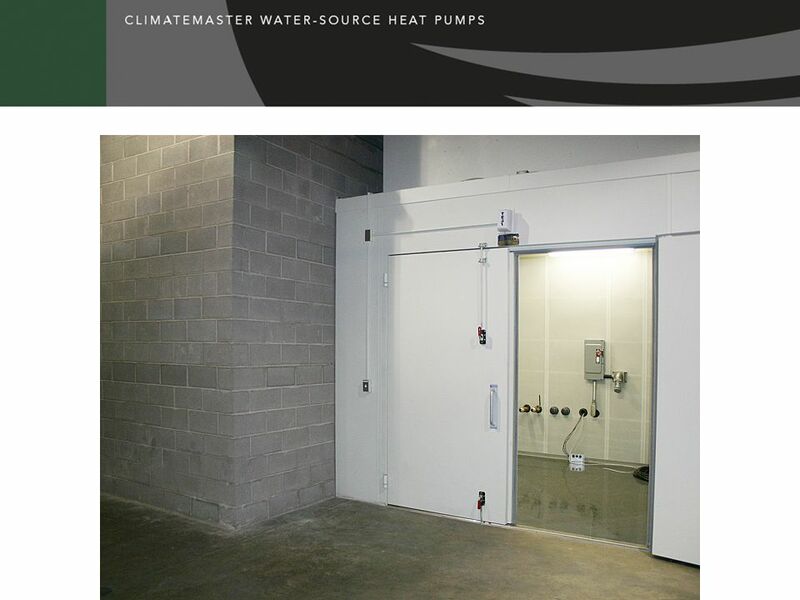 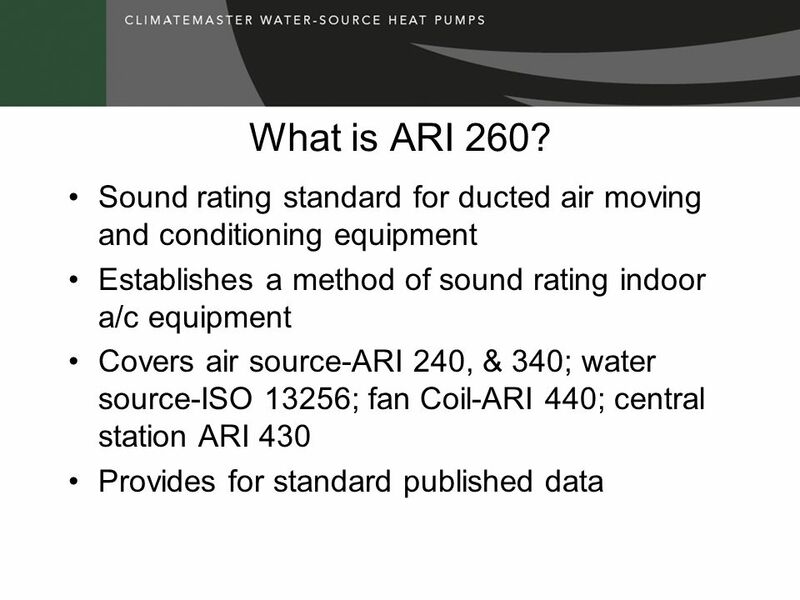 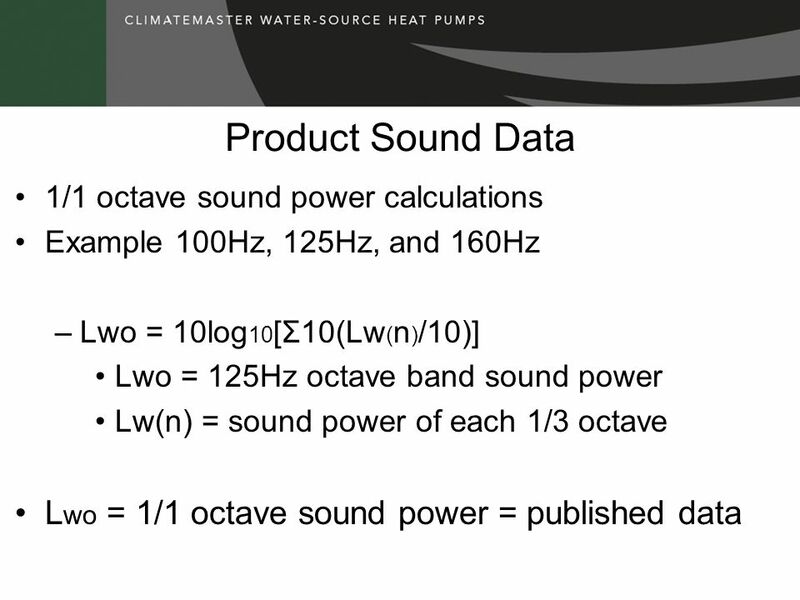 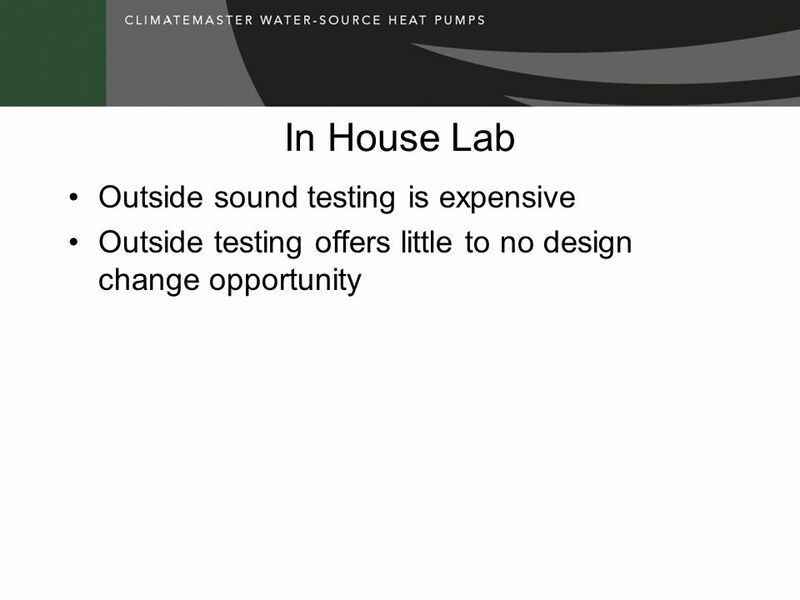 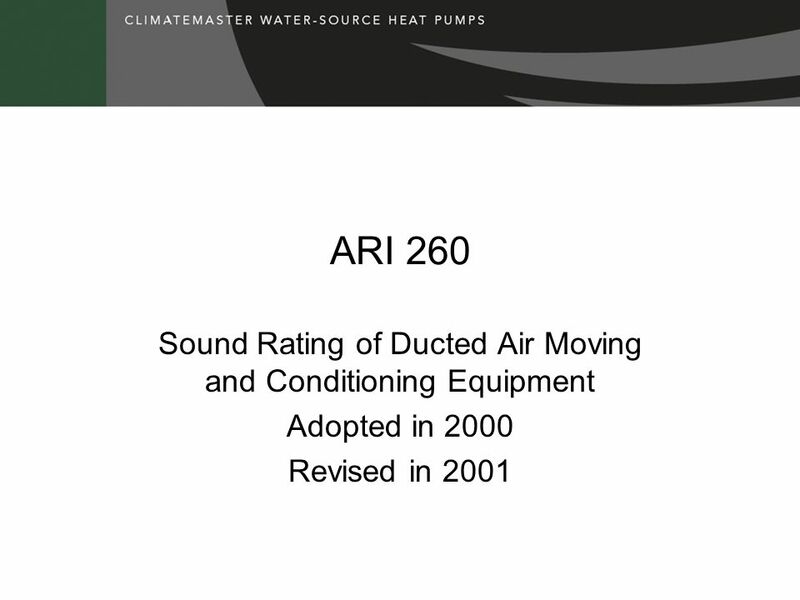 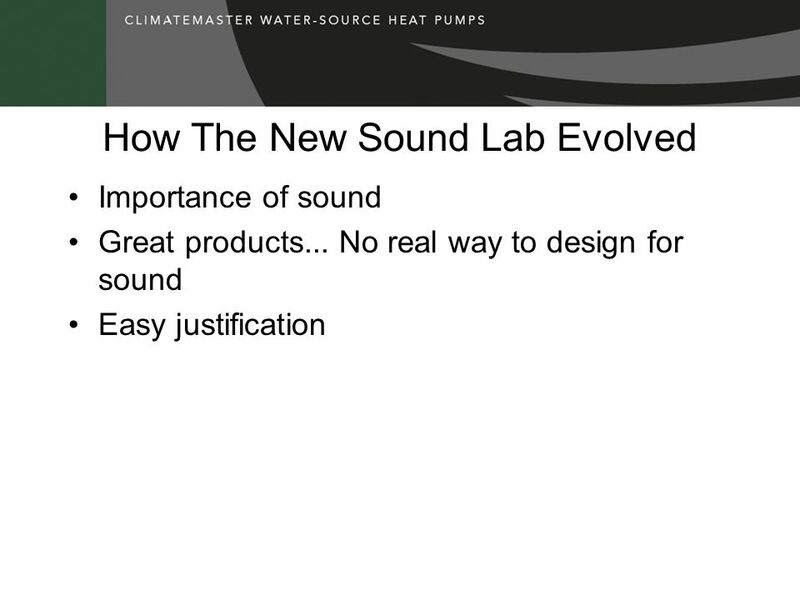 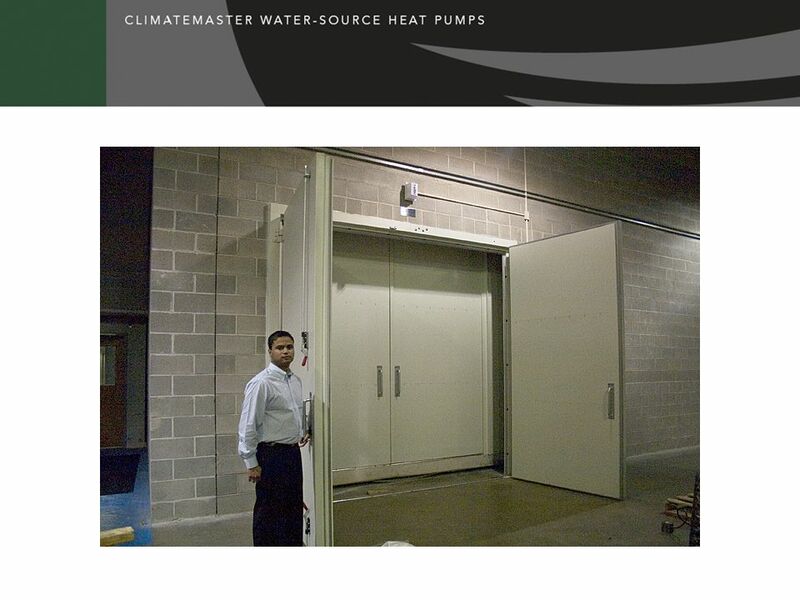 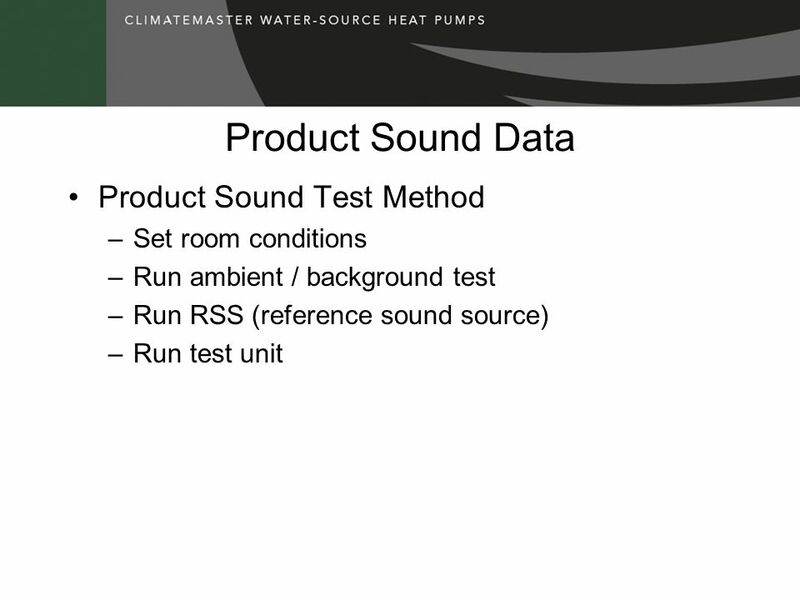 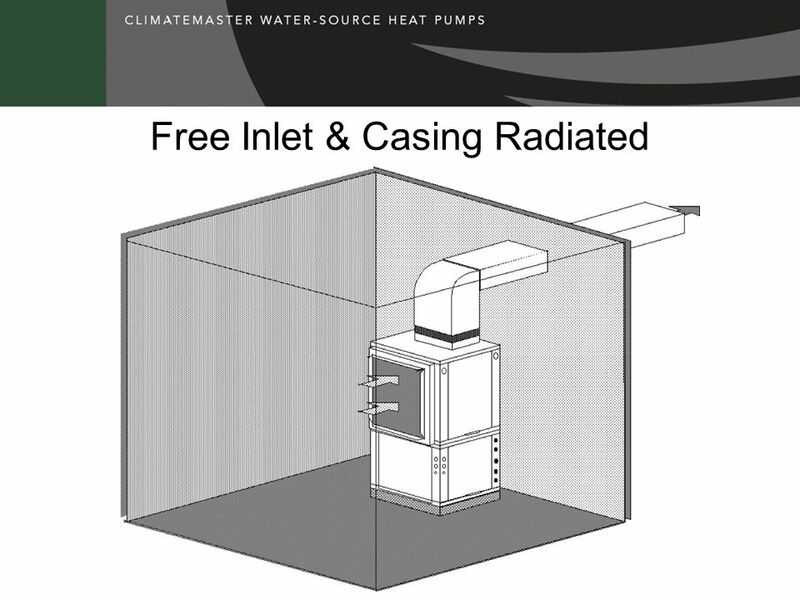 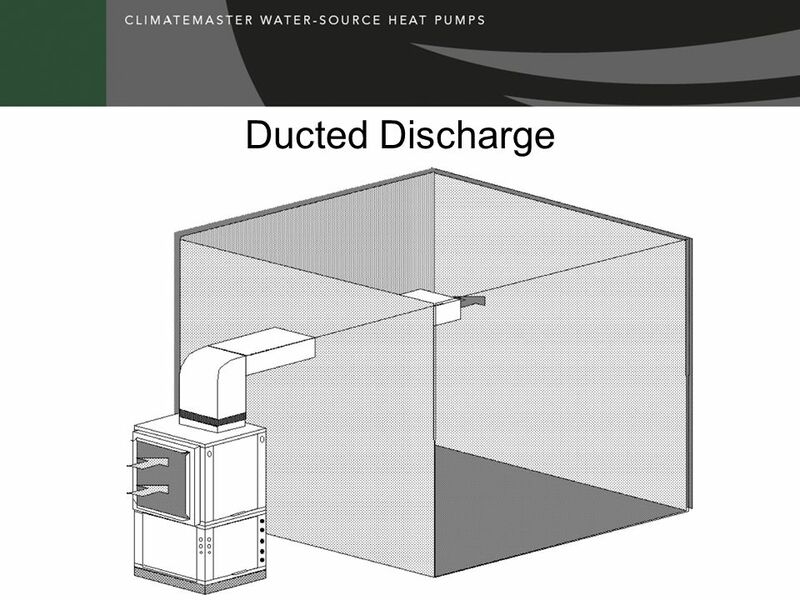 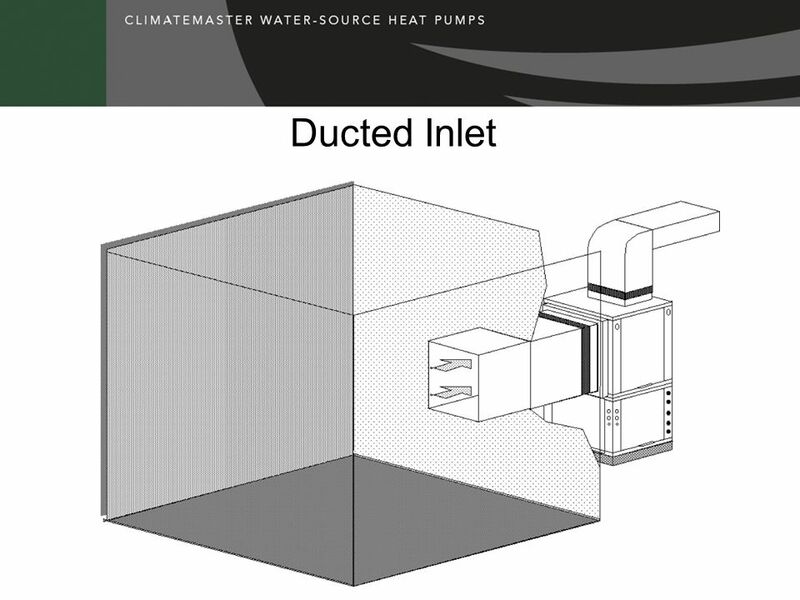 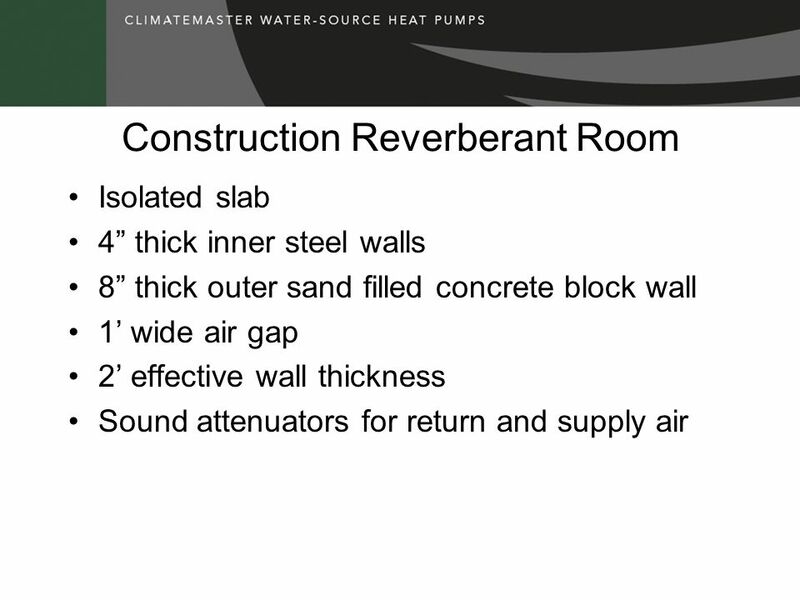 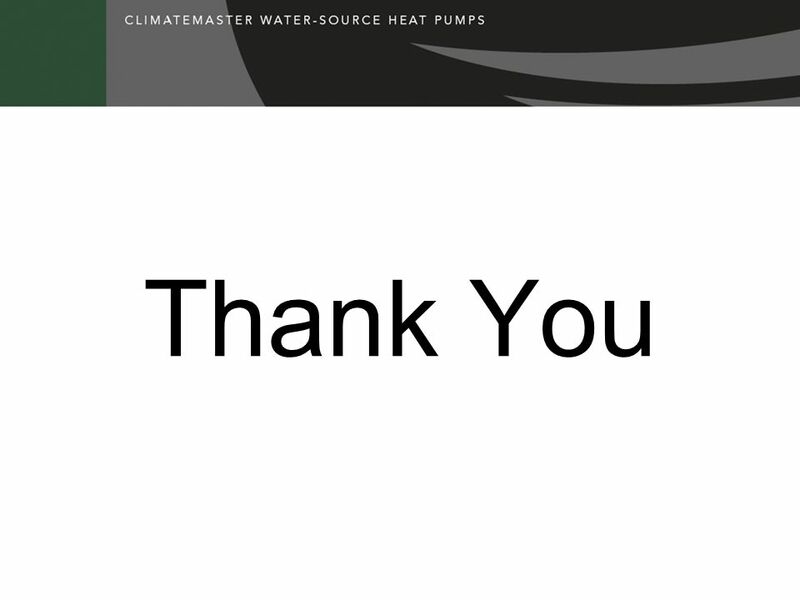 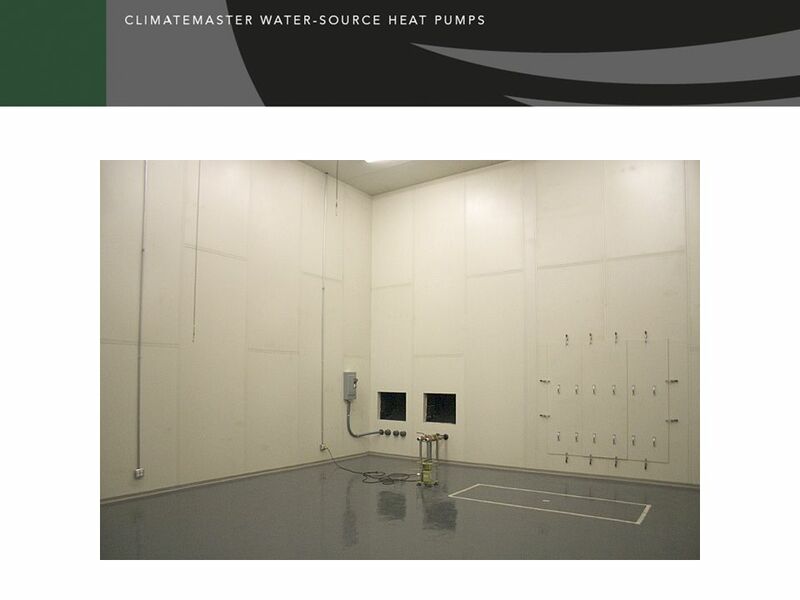 Download ppt "ClimateMaster Engineering Sound Lab"
Outdoors propagation free field (point source). 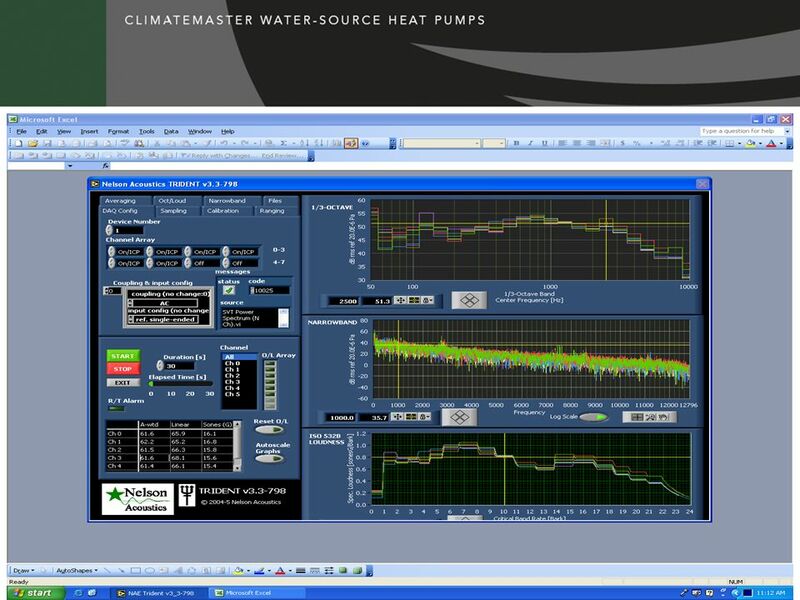 The DAlambert equation The equation comes from the combination of the continuty equation for fluid motion. 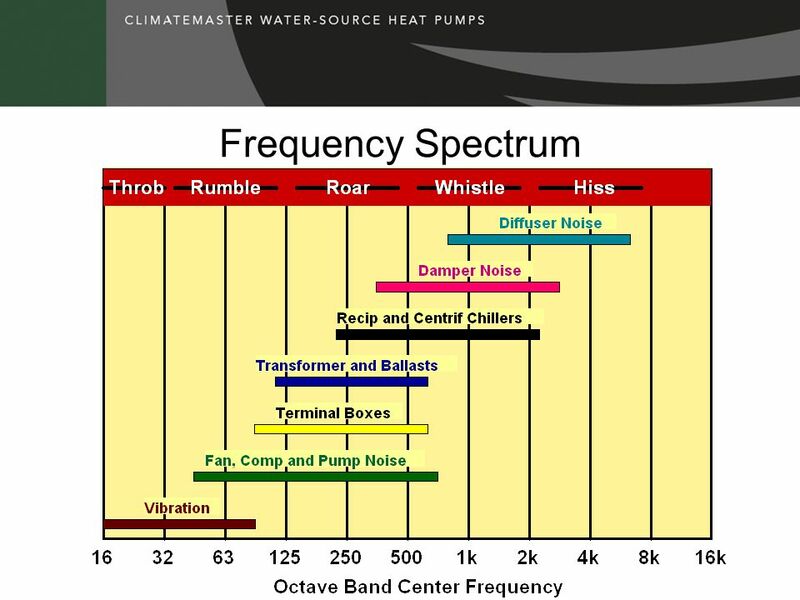 Rain Noise …. 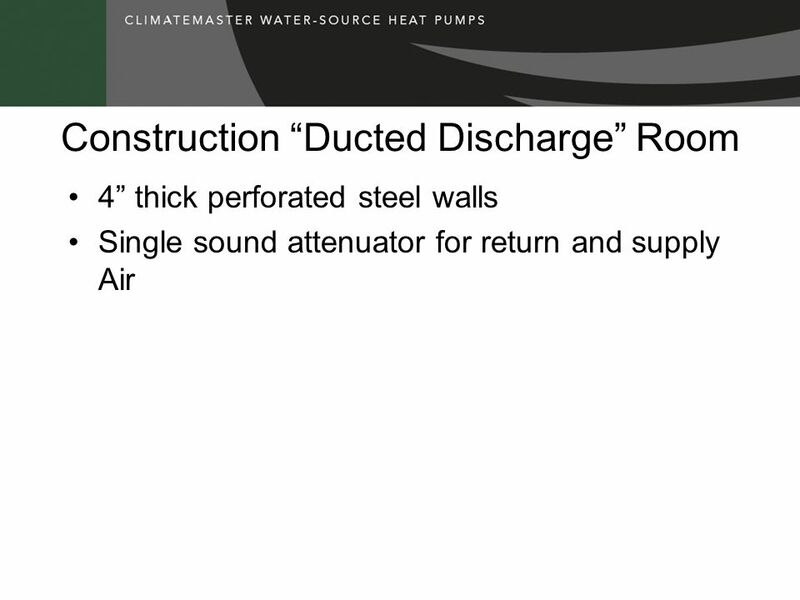 Solutions for metal roof constructions! 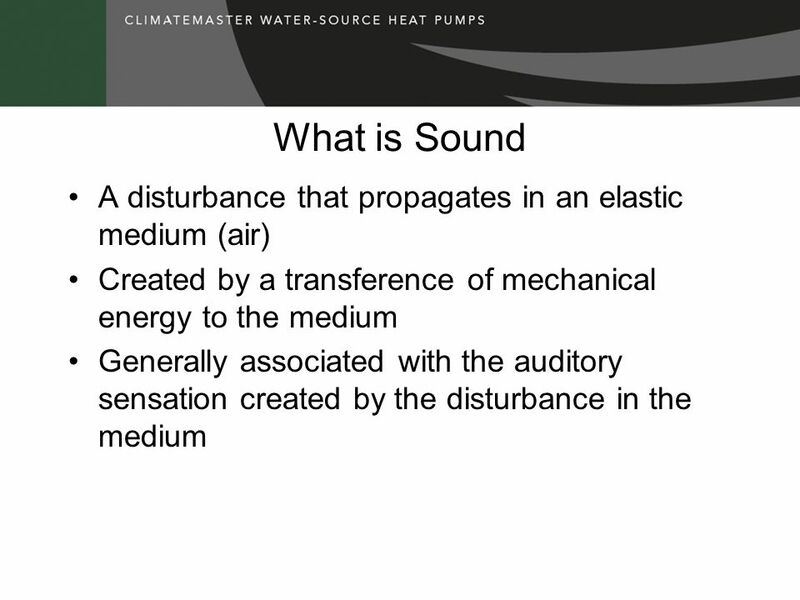 MULTIMEDIA TUTORIAL PART - III SHASHI BHUSHAN SOCIS, IGNOU. 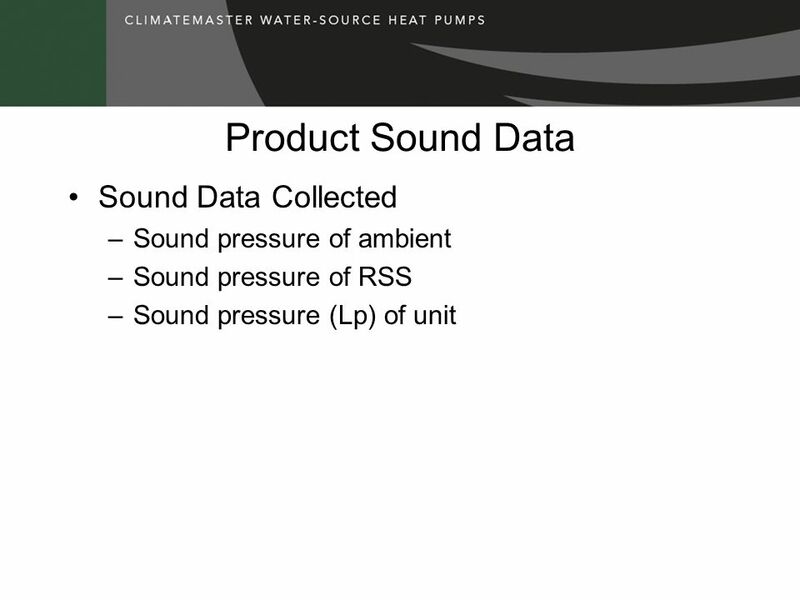 Georgia Institute of Technology Introduction to Processing Digital Sounds. 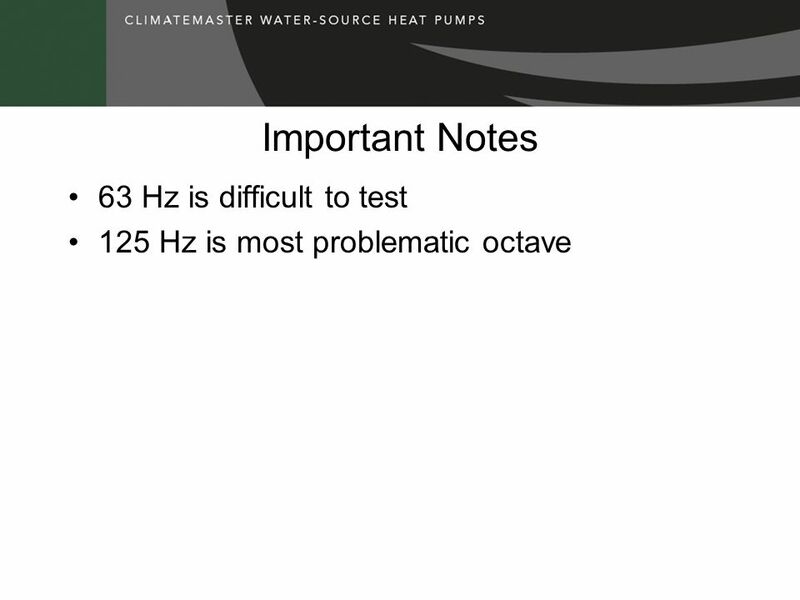 Chapter 14 – Noise Pollution and Control Hwk#7 review questions – pp.472-473 #6,8,15,19 practice prob. 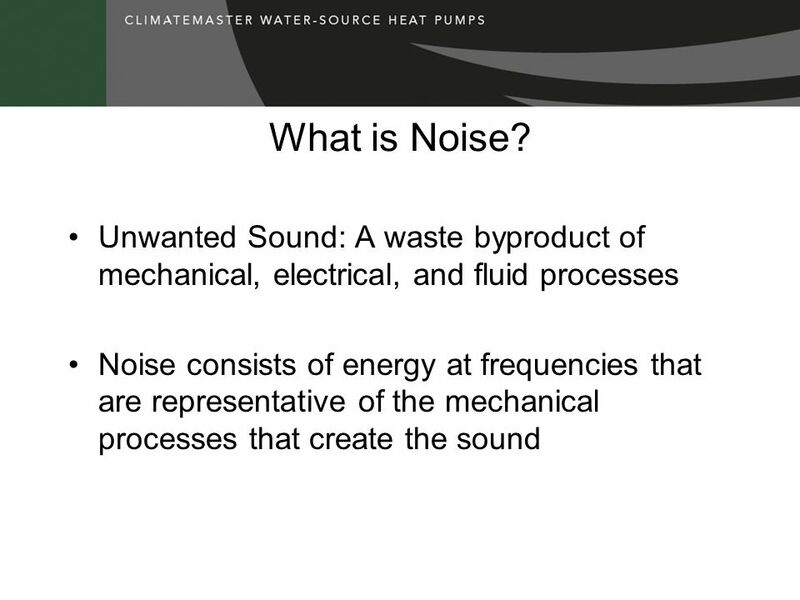 – p.474 -#2,7,9,15 Noise – is an undesirable and.